If you use DirectAccess (DA), should you use a certificate on the IP-HTTPS listener from your internal CA or from a third party CA? If you use a certificate from your internal CA, you’ll have to publish the CRL so it can be reached from the outside. If you don’t do it, external DA clients will remove the CRL from the cache after 24 hours and they will not be able to check if the certificate has been revoked or similar. DA will not work for them until they put their laptop in the internal network, and are able to reach the CRL. The default time for the cache is 24 hours. So I would not bother publishing the CRL, but instead use a third party certificate on the IP-HPPS listener. If you use or consider using DA without UAG, Win8 has a lot of improvements regarding DA (features you only found in UAG). When you use DirectAccess (DA) you have to unblock ISATAP on your DNS servers, so when clients do a DNS lookup for ISATAP they will get an answer. 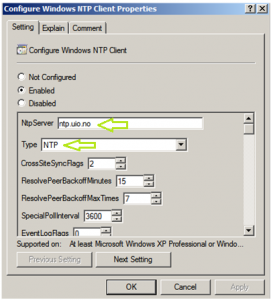 If you add a new domain controller with the DNS role, you must remember to remove ISATAP from the block list. 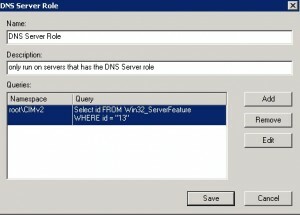 You removed it on your DNS servers when you configured DA long time ago, but will you or your successor remember to remove the blocking if you add a new DC/DNS? To avoid this from happening in the future, I configured a Group Policy (GPO) to do the job. I reckon a GPO is more reliable than a Teflon brain. 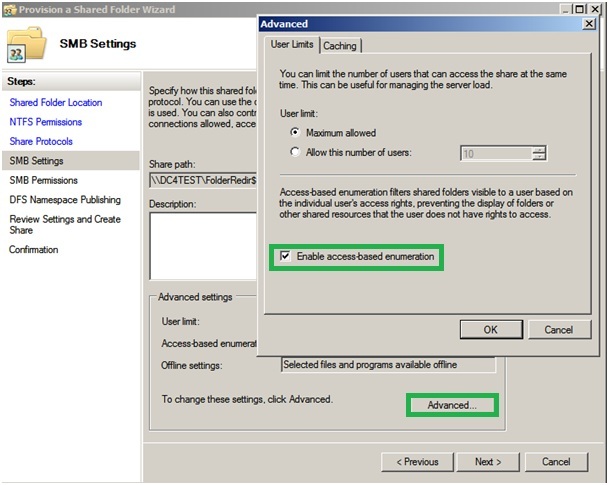 Open the Group Policy Management consol. First you need to create a WMI filter so the GPO only apply to servers with the DNS server role. Give it a meaningful name. 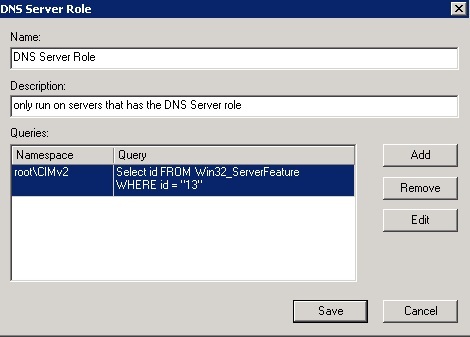 Query:  SELECT id FROM Win32_ServerFeature WHERE id = "13"
Give it a name. I called it “GPP_Unblock_ISATAP”. 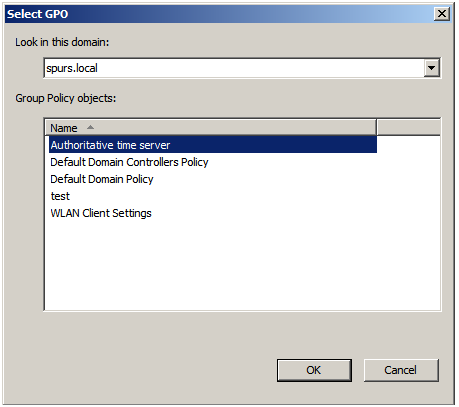 Link the GPO to the OU where your DNS servers reside. I linked it to the Domain Controllers OU since we don’t have any standalone DNS servers. 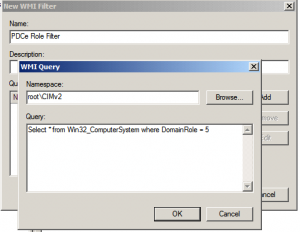 The WMI filter will anyway only apply to DNS servers, so you can link it higher up. You’ll have to restart the DNS server service, or reboot the server before the setting is applied to the DNS server. Check the status “dnscmd /info /globalqueryblocklist”. If ISATAP is not present you are good to go. Notice this only apply to Win2008 and newer, since legacy OS don’t have the Win32_ServerFeature class. Where should I register the SPN? 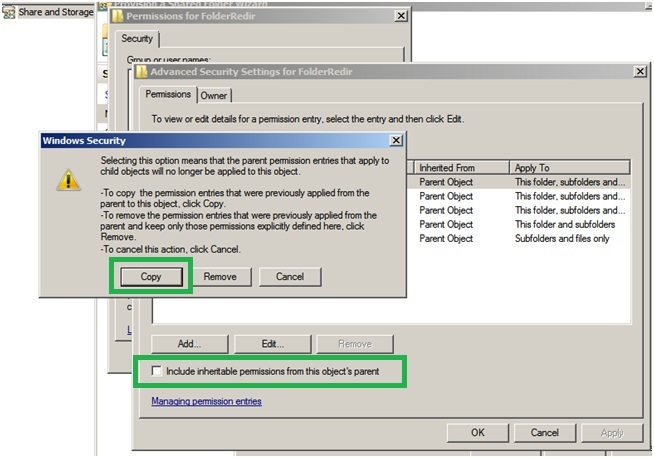 For proper Kerberos authentication to take place, the Service Principal Names (SPNs) have to be registered correctly on the correct account. SPNs are AD attributes that uniquely identifies an instance of a service for a given target host. 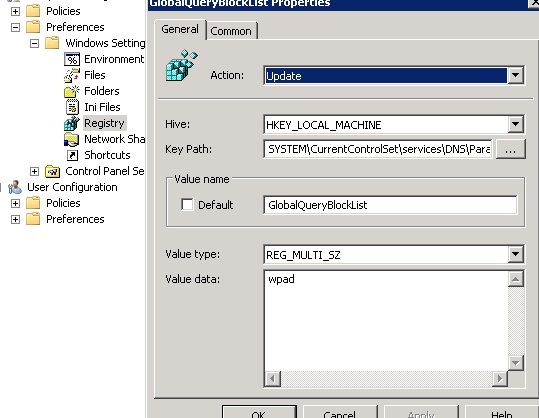 If you have a SQL server where the SQL service run under the Network Service or Local System account, the SPN for SQL should be registered on the machine account. 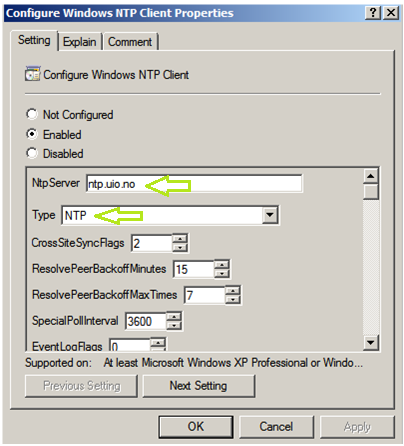 If you have set the service to run under a service account (a domain user account), the SPN should be registered on the domain user. SPNs registered on a machine account will be registered automatically, but if you use a user account you’ll have to register the SPN manually. You can use the setspn.exe tool, or use adsiedit.msc. You can only register the unique SPN on one account. 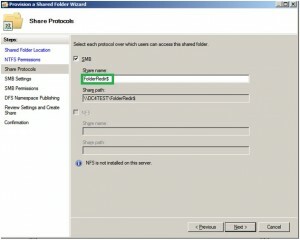 If you have duplicate SPNs in the forest, Kerberos authentication will fail. If you have an IIS server (version 6 or prior) the Service class (http) should be registered on the application pool Identity the site is using. This is not the case if you have IIS 7/7.5. 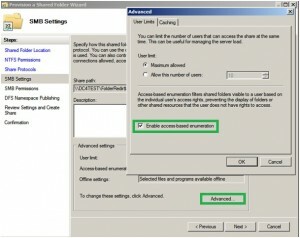 By default IIS 7 has enabled “Kernel-Mode authentication”. The Kerberos Service ticket is then encrypted with the Machine account password no matter what account is set to run the application pool. 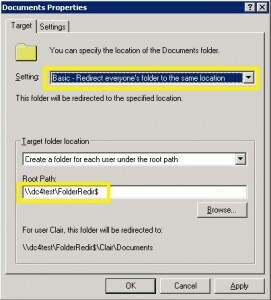 Without Folder Redirection, users might/will save data on their local profile on their computer. If they accidentally delete such a file, you don’t have a backup of it (unless you take backups of workstations which I doubt…). 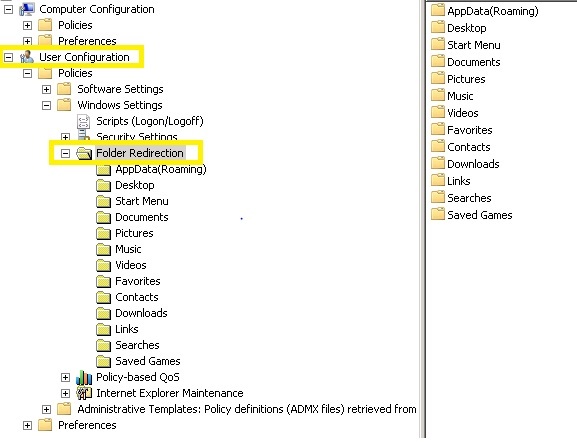 Configuring Folder Redirection is fairly easy, but you should get it configured correctly. In this step-by-step I will just use a domain controller (DC) to store the user folders. I always strive to keep DCs dedicated and don’t mix other roles to them. If you don’t have the HW or budget I guess you don’t have a choice. 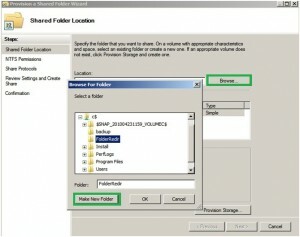 Open up the “Share and Storage Manager” (that came along with Win2008, which in fact is a great tool). Hit Next and Create the good stuff. Create a new GPO, and give it an informative name. I.e. “GPO_FolderRedir”. 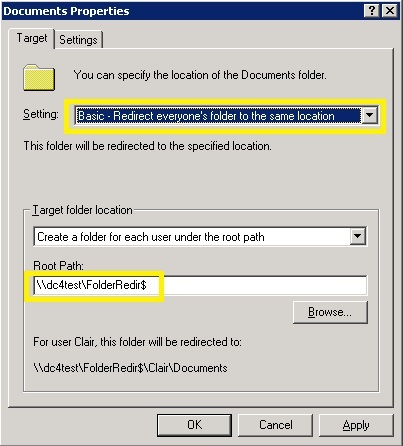 Navigate to “User Configuration – Windows Settings – Folder Redirection”. You now have to decide what you want to redirect. You can redirect all, or just a few. “Documents”, “Desktop” and “Favorites” are handsome to pick if you don’t pick all. If all your users should be on the same share, you should use the “Basic” setting. 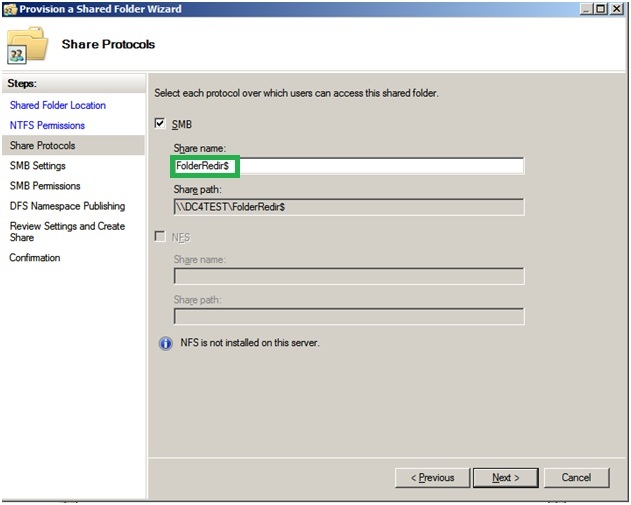 If you have different shares for different domain groups you can use the “Advanced” setting. Set “Root Path” = the share path you created earlier. 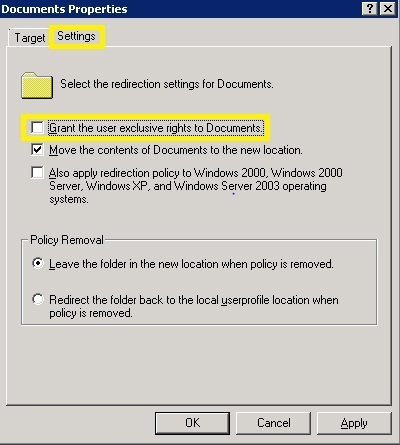 On the Settings tab, untick the “Grant the users exclusive rights to Documents” if you want domain admins to have access to the redirected folders. 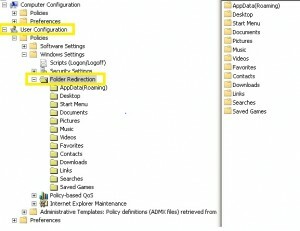 If you don’t untick it now and the folders are created, unticking it at a later time will not give domain admins access to the already created folders. You have to take ownership on the folder to gain access. If a user logs on the redirection will not work as the user has to be the owner. 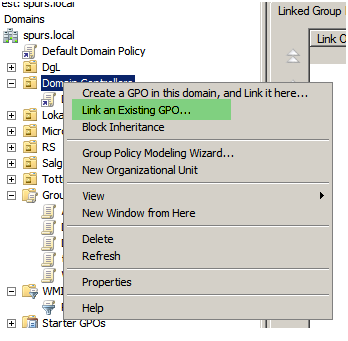 Now you can link the GPO to an OU (not a Container like “Users”) where the users resides. 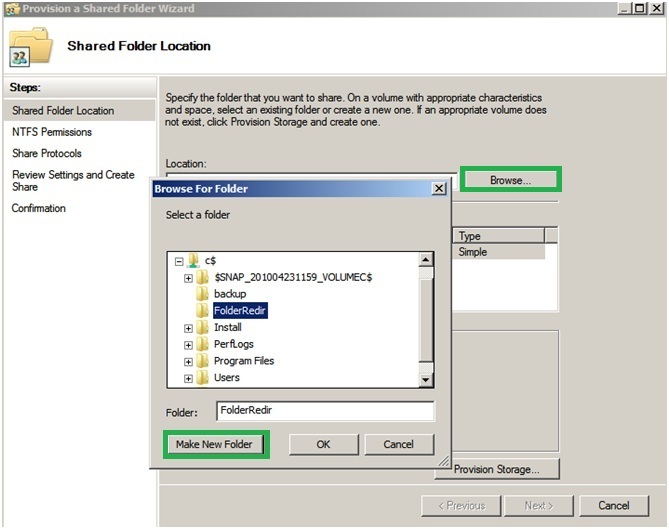 When the users logs on, the folders are created automatically and the permissions are set correctly. If the user saves i.e. a Word document to My Documents, it’s saved on the file server. 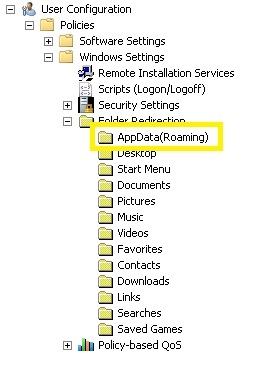 If you have terminal server users, folder redirection in conjunction with Roaming Profiles is a m.u.s.t! There are many resources on the Internet sharing a “walk through” about this job, but I made my own documentation some years ago when I was told to rename the domain. So I just go with the flow and publish it. To do this task your domain/forest functional level has to be at least 2003 and all DC’s need at least SP1. Exchange 2003 SP2. This is the only version that supports a domain rename. 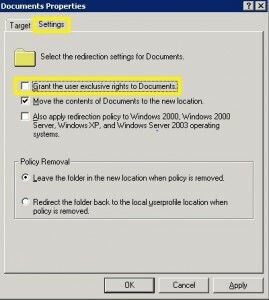 Exchange 5.5, 2000 and 2007 is not supported and Exchange can’t be installed on a DC. 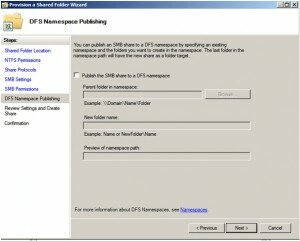 One forest (2003 Functional level) with three domains (2003 FL, transitive trust and a parent-child trust), six DC’s (Win2003 SP1) and four Exchange servers (Win2003 SP1 with Exchange SP1). The objective was to rename one of the three domains. (The domain without a child). Before we started banging on the production environment, we made a test environment to test the rename and its impact on all third-part applications like Citrix, MSSQL based applications, HP Data Protector. After a month of testing and three successful renaming, we moved over to the production environment. To increase your chance of a successful renaming your domain have to be in a good shape. You need to have a domain member to act as the Control station (CS). Should be at least a Win2003 SP1 server. Log on to the control station with an enterprise admin (I guess you don’t bother the “run as” in this situation) and download the domain rename tools to this server (domainrename.exe and xdr-fixup.exe). Now it’s time to take some System State backups of your domain controllers and keep them in a safe place. 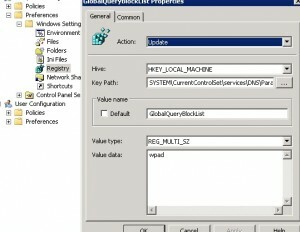 · No Group Policy must configured to set the primary DNS suffix to computers. Open cmd and change the directory to “C:\Rename”. · You should get an answer from all DC’s and they should NOT return an error. If they do, open “dclist.xml” (that was created in step 3). The DC’s that have reported errors will not be tagged with <state>prepared</state>. You have to troubleshoot any errors. 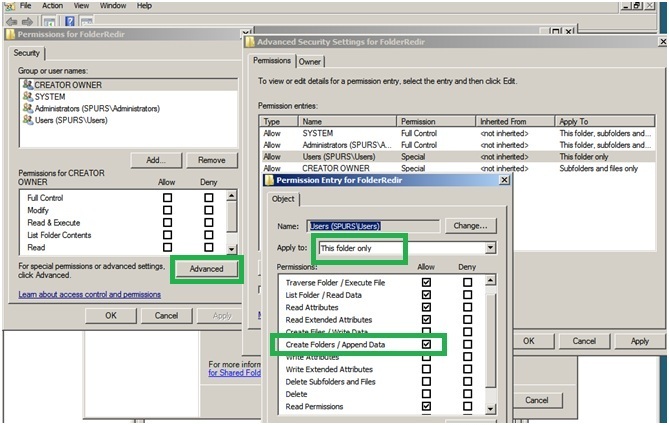 DO NOT set the state to “prepared” manually in this file for any DCs! You should fix any errors and re-run “rendom /prepare” until all DCs are in the “prepared” state. Before you proceed to the Exchange specific tasks, you got to be sure you are not going back with a domain restore. This will create two files. changescript.ldf and restorescript.ldf. You run this command only one time (not one time per Exchange server). Look for errors in the created log. Take a new System state of the DC’s. Restart all other servers twice. Verify/update the Recipient Update Services (RUS) which DC it should use. ** If you have many domain member laptops out of the house during the rename, you can wait with step 7 until they have logged on the domain and rebooted twice. I think I waited a week before I ran step 7. If you run step 7 and there are members that have not been booted twice you have to rejoin them to the domain. I made a script to keep track of computers that have not been updated with the new domain name.